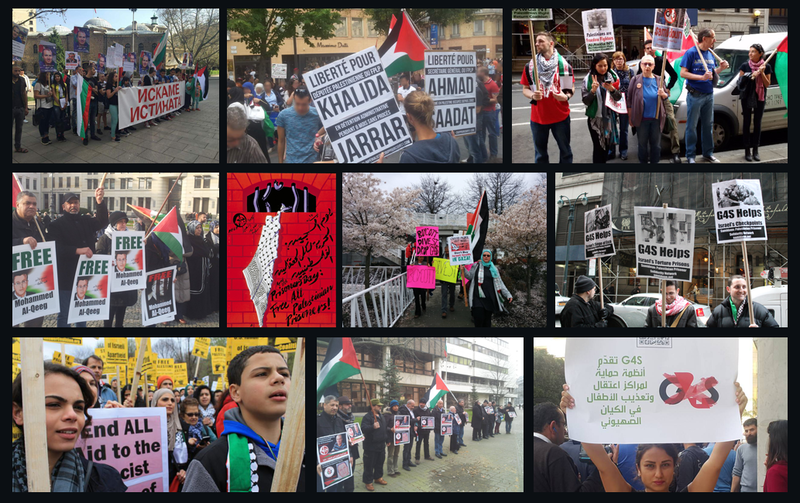 Demonstrators gathered in Brussels on 6 February, almost seven months since Mustapha Awad has been unjustly imprisoned in Israel. The demonstration, organized by the Free Mustapha Committee, urged the Belgian Ministry to take action on the imprisonment of the Belgian citizen, metalworker and co-founder of the Palestinian popular dance troupe Raj’een. Alexis Deswaef gave a review of the history of five meetings between the Committee and the Ministry: “At the first meeting, we were told that we had to be patient, that diplomacy was progressing, that we would first make verbal notes. Then it was said that this is an exceptional case and it was necessary to wait for the trial. And now that the sentencing has taken place, but an early release is possible, we are told that nothing can be done. Belgium’s attitude was completely opposite in the case of the arrest of Amaya Coppens in Nicaragua. Minister Reynders intervened the day after her arrest with the Nicaraguan government. Why these two weights, two measures? Because it’s Israel.